Kindred Double 20 Ga sink 3 hole drilling -20-1/2" X 31-1/4" X 8"
Double bowl 20 gauge stainless steel top mount sink, with faucet ledge, 3 hole faucet drilling, Spillway<sup></sup> partition between bowls to prevent water on the counter, rear drains to allow for more storage below, and easy care satin finished bowls. Includes waste fittings, and is backed with a Limited Lifetime Warranty. The glass kitchen sink from JSG Oceana adds an element of creativity to any kitchen, bar, or butler's pantry area. Made in the USA, beauty meets functionality in this creatively designed sink that is practical for everyday use even allowing for a garbage disposal application. Generously sized, this sink is a great alternative to stainless steel and is sure to give you the WOW factor you have been looking for. Made of "HARD ROC inch glass, the durability of this sink makes it a lifetime product. 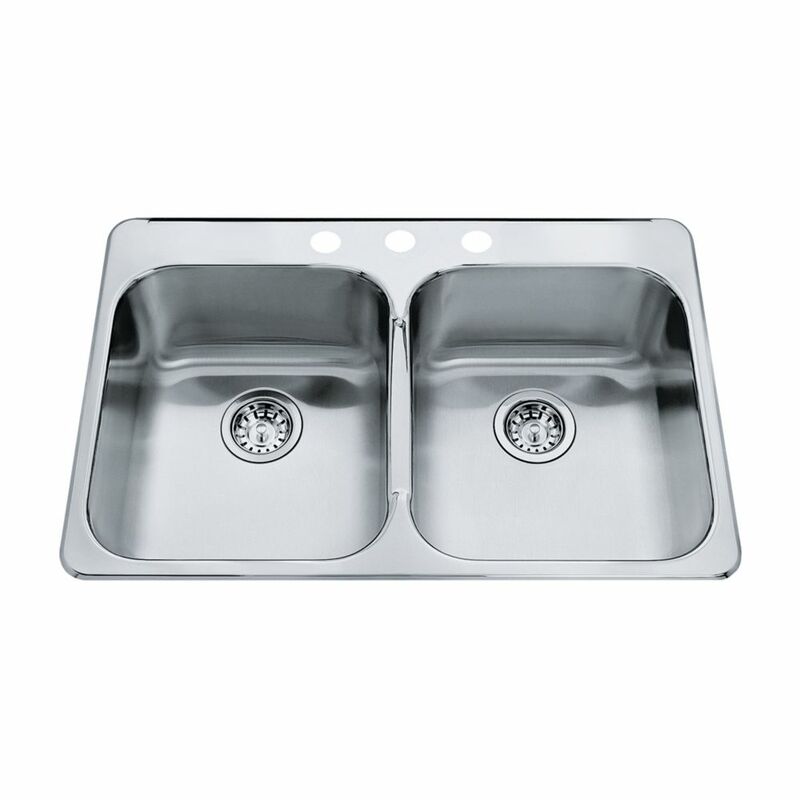 Double 20 Ga sink 3 hole drilling -20-1/2" X 31-1/4" X 8" Double bowl 20 gauge stainless steel top mount sink, with faucet ledge, 3 hole faucet drilling, Spillway<sup></sup> partition between bowls to prevent water on the counter, rear drains to allow for more storage below, and easy care satin finished bowls. Includes waste fittings, and is backed with a Limited Lifetime Warranty.